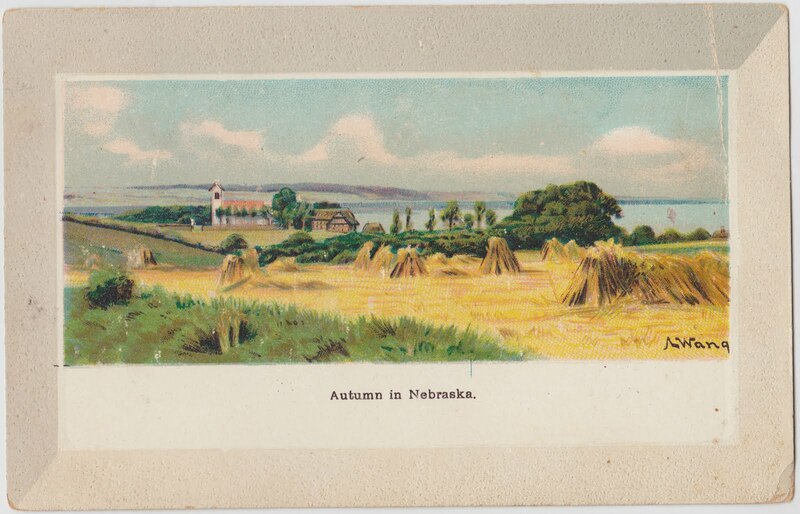 The front of this old postcard contains a fairly mundane illustration titled "Autumn in Nebraska." 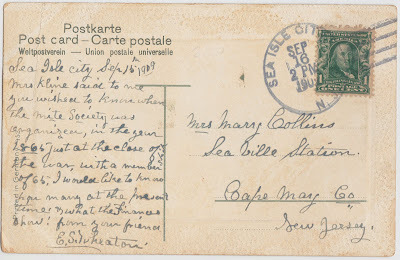 It was mailed with a 1¢ Benjamin Franklin stamp from Sea Isle City, New Jersey, at 2 p.m. on September 16, 1909.1 The recipient was Mrs. Mary Collins of Cape May County. "There are many different societies in the world. The better-known ones are the Elks and the Masons. There is a lesser known one out of Gaysville though, that’s all about doing good for others. It’s called the Mite Society. "No, they aren’t talking about dust mites or anything like that—it’s not a bug society. The mite they are talking about is a coin. It comes from a story in the Bible about many rich people who went to church and donated a large amount of money, that to them was a drop in the bucket. However, a poor widow also gave what little money she had (a mite or two) and was revered for it. 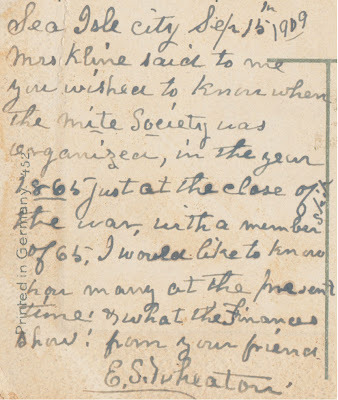 "The Universalist Church formed the Mite Society in 1861; later on it was united with the Congregational Church. 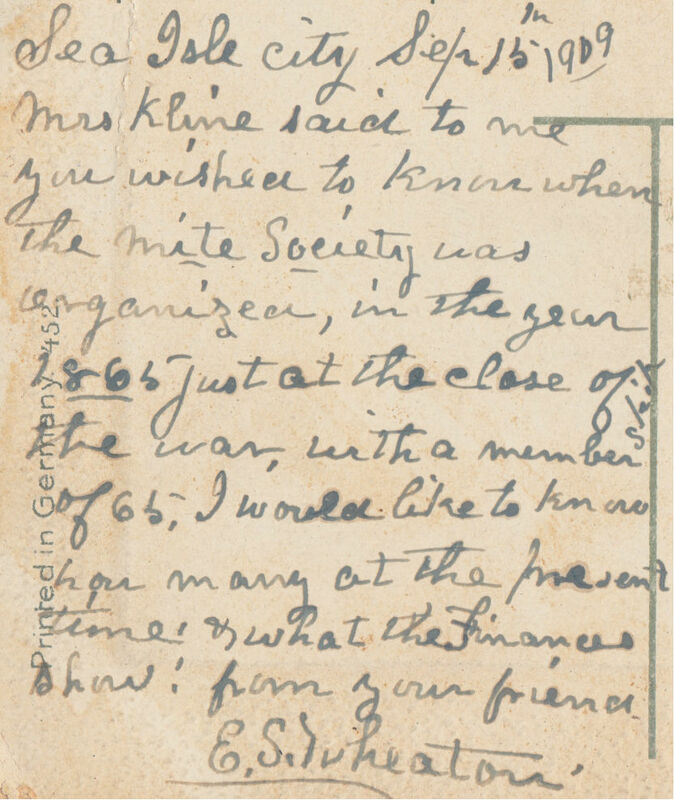 The Universalist Church disbanded and members of the Congregational Church ran the Mite Society from then on." haha!! 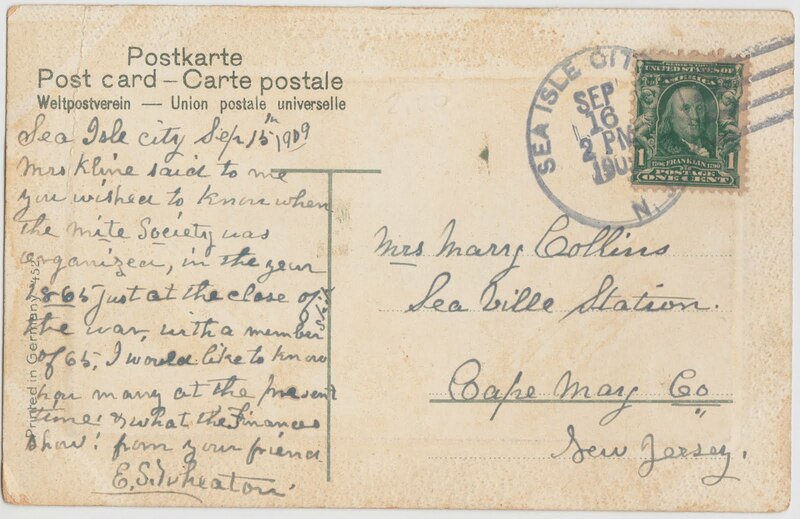 I love that you took the time to find the info, then post your footnote to the date from this postcard!! 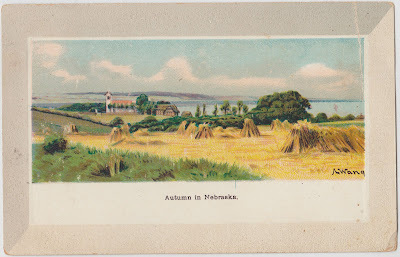 You have some of the most interesting paper ephemera-- thanks for sharing it with all of us!